National Seminar Attended and Paper Presented (From 2013) i. National Seminar- Global Warming(18 & 19 Jan 2013)- Govt. 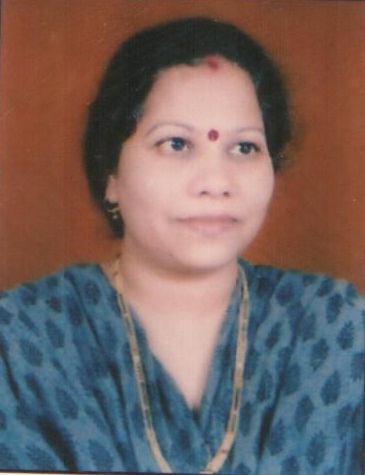 Kamla Devi Mahavidyalya Rajnandgaon. ii. National Seminar- Matdan Vyavhar (20 & 21 Sep 2015)- Govt. Girls College Baloda Bazar. iii. National Seminar- Chhatttishgarh me Nakshalvad Samasya Avam Prabhav (26 Nov 2015)- Govt.Science College Durg. iv. National Workshop – Swatantra Bharat ke vikas me Mahilaon Ka yogdan avam Chunautiya (05 Jan 2016)- Govt.Science College Durg. v. National Seminar-E-Prashan (18 & 19 Jan 2015)- Govt. PG College Kavardha. vi. National Workshop – Mahila Sashakti Karan (10 Feb 2015)- Govt. Digvijay College Rajnandgaon. vii. National Seminar- Cyber Crime (06 & 07 Jan 2015)- Govt. Digvijay College Rajnandgaon. viii.National Workshop – Antarastriya Mahila Divas (08 Mar 2016)- Govt. Digvijay College Rajnandgaon.